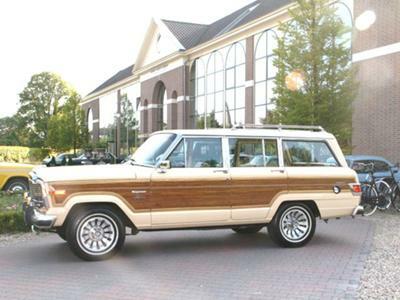 1983 Jeep Wagoneer: My dream came true! For me, this Jeep is a dream come true. It is the best model produced. It is a 1983 Wagoneer Limited. I am also looking into the history of the Wagoneer. Is there a possibility to trace its American history? Larry's Comment: Wow Ronald! Your Wagoneer looks like new in the photo (I assume this is yours). Just join up and dig in. Enjoy that full-sized vintage Jeep of yours.